One of the most important and useful telecommunications tools to come along over the last two decades has been the video call. Through the years we have seen a variety of new and exciting breakthroughs in this market, particularly with technology that pairs smartphone camera technology with faster and more reliable data networks. These technologies have allowed us to stay immediately connected to our friends and loved ones across the globe, allowing us to see the faces and emotions of the people with whom we are connecting. Tutch has taken video calling to a whole new level with their breakthrough AR-based superimposed video calling app. Tutch’s patented technology was recently nominated for the Breakthrough Auggie Award, bestowed upon the most innovative new technologies in the Virtual Reality and Augmented Reality field. 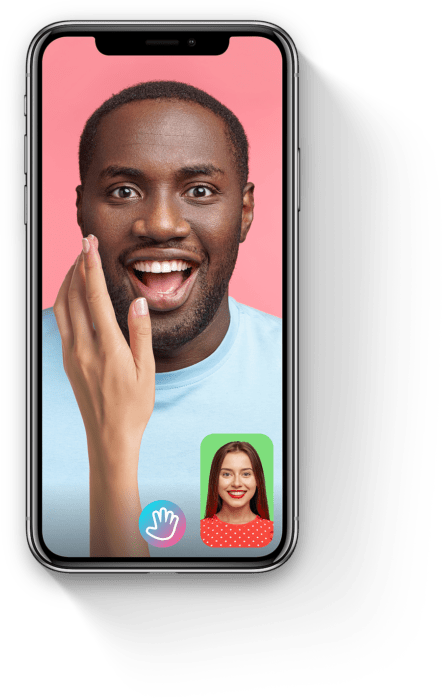 Tutch combines video calling with augmented reality, allowing smartphone users to impart personal interaction and immersion to their video calls using their phone’s camera. For instance, if a user reaches out in front of him, his hand will appear on the screen in real-time as a dimensionally-proportionate inclusion in the video. Tutch also uses augmented reality filters and haptics, which help to create the sensation of touching the person you’re calling. Richards Patent Law has been working with Tutch to develop its patent portfolio since 2016, including U.S. Patent No. 9,729,820, 9,912,970, and 9,979,921, as well as a number of additional patent applications in the US and around the world. The Tutch app is scheduled to be released on iOS and Android in January 2019. For more information on Tutch’s breakthrough technology, visithttps://www.tutch.me/. Congratulations, Tutch! We look forward to your many future awards.